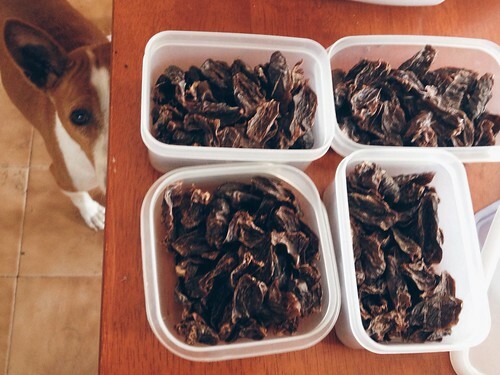 Today’s post is a special treat, and not just for the dogs. I am excited to post the first review by R.J., the other human inhabiting the House of Two Bows. Web Presence: Truechews.com, on Facebook, etc. 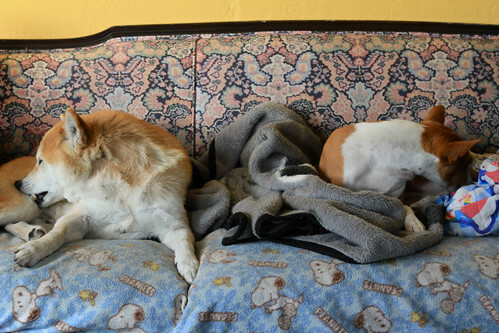 We’ve got two middle-aged dogs. 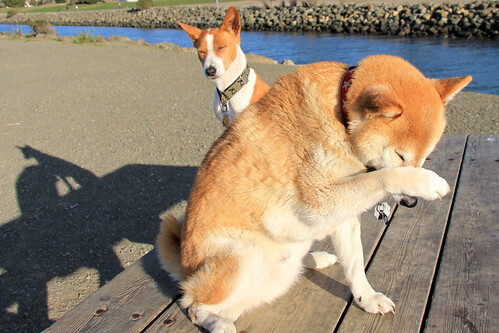 A brash Shiba and a sneaky Basenji. Male and female, respectively. I’ve watched them snarl, yelp and snarl some more over discarded bones in a flooded gutter. They’re driven by a desire to eat. All dogs are. They don’t discriminate. 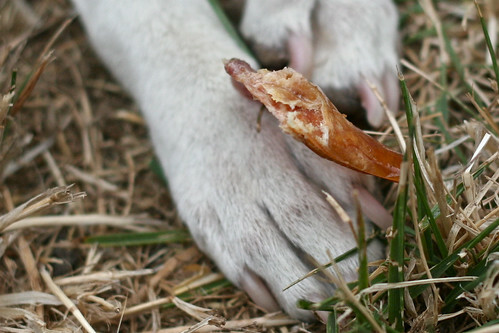 I wish I could write that True Chews Lils Pig Ear Pieces brought a reverential calm over my dogs. 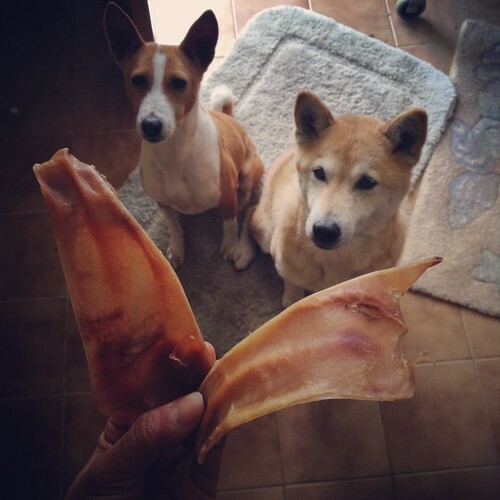 That they both politely sat down and, before gently taking the pigs’ ears from my hands, blinked in unison. That they lingered over them, sniffed them, licked their chops… maybe tossed a glance my way, with gratitude in their eyes. 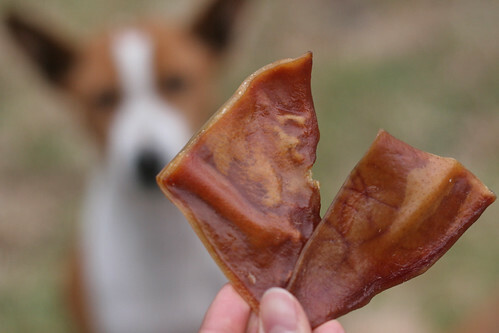 Actually, the pigs’ ears were snatched from my fingers (before I could be comfortably seated) and devoured inside of five minutes. 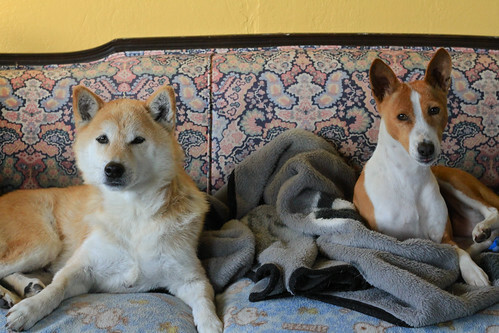 The Shiba’s sitting tough at thirty pounds. 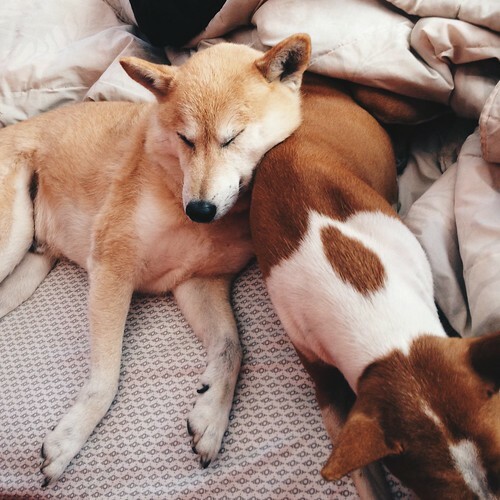 The Basenji’s just over twenty. 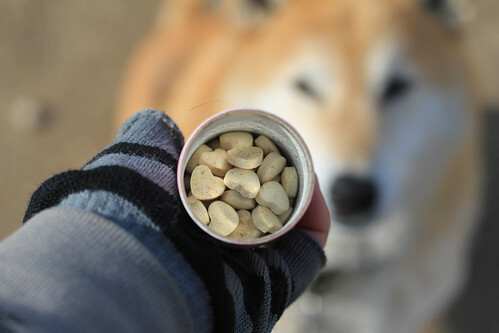 I mention this because the treats are marked as being for dogs up to twenty pounds. 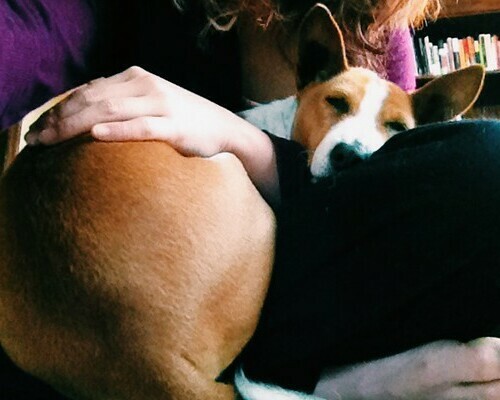 Usually the Basenji takes slightly more time with her food. So these treats might be a little smaller than what the dogs are used to. To me, they seemed a little thicker than the ones plucked from a pet store bin. It doesn’t seem likely that they can be broken down into small pieces by clumsy humans. The dogs, however, took fifteen seconds to figure out the right angle of attack, to gain the proper leverage for eating. Once each found the sweet spot, the ears were promptly broken down into three or four pieces and cruncha-cruncha-crunched. After the last pieces had been swallowed, the dogs spent an additional two minutes sniffing out and licking the microscopic debris left behind. Then they switched places, each searching for what the other might have overlooked. 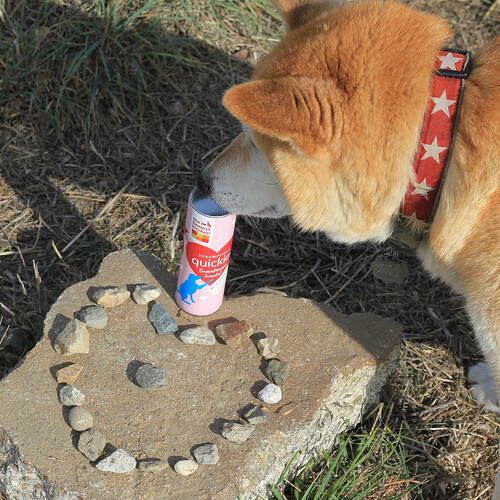 This was, more or less, a typical encounter with chewing products. No one was hurt, no intestinal duress ensued. 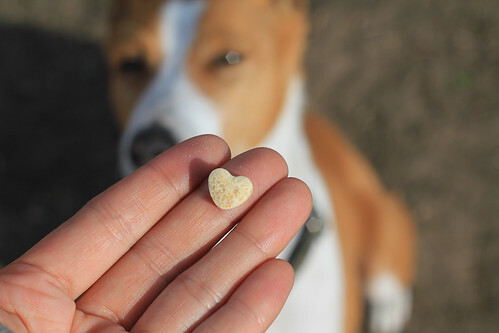 What more could you want from a dog treat? 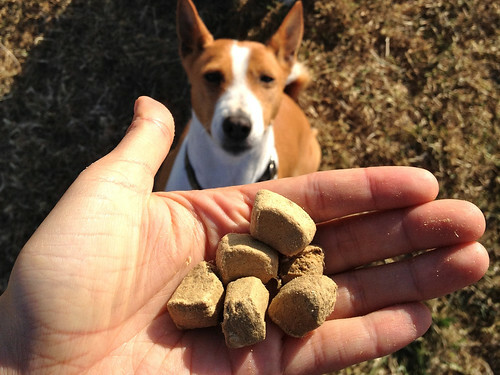 The good people at True Chews insist that you are to supervise your dog’s enjoyment of their chewing treats. And to make sure there is clean drinking water at hand. 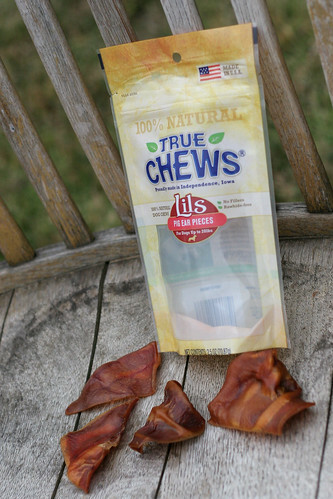 True Chews Lils Pig Ear Pieces are made with pride in Independence, Iowa. 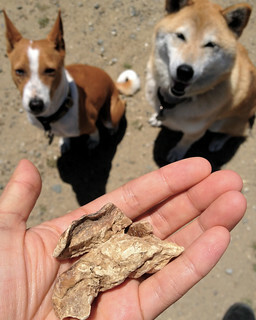 * They are rawhide-free, contain no filler, and marked as 100% natural. A natural smoke flavor has been added. True Chews is also a proud sponsor of The United States War Dogs Association, Inc. Check this fine organization out, if you’d like, at http://www.uswardogs.org/ and give the US War Dogs’ Theme Song by Murray Weinstock a listen. I do sincerely wish True Chews success. Their products seem as simple as they are satisfying. Six chews for eight bucks might be pushing it, and I don’t think the dogs really care about the natural smoke flavor. 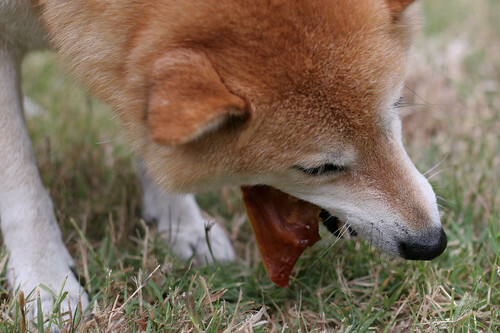 The Shiba will chew wood if you let him. I’m giving this product an enthusiastic B+ rating. text by R.J., photos by M.C. * M.C. 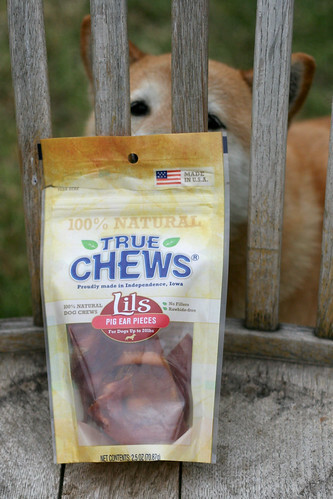 would like to highlight the fact that all True Chews are clearly labeled as US-made products, which provides some assurance for those of us concerned with country of origin for our pets’ edibles. 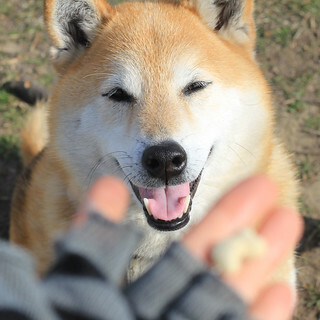 Web Presence: Primalpetfoods.com; on Facebook, Twitter, YouTube, etc. * Prices are based on one local retailer. 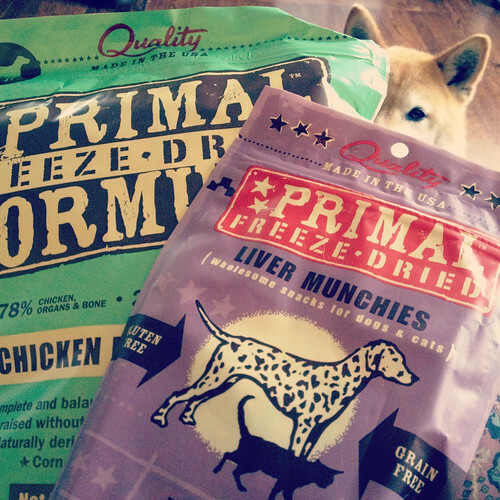 We received one bag of each product from Primal Pet Foods in exchange for our honest review. 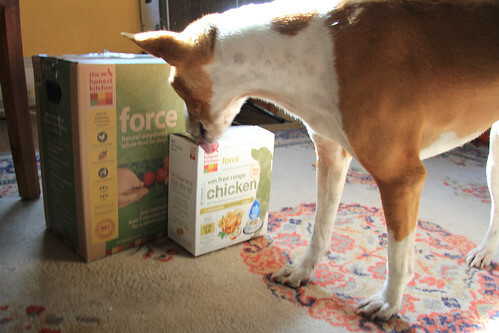 Primal was Bowdu’s first raw food love. If you search through the early archives of this blog, you’ll find me singing the praises of this company’s products, as they did so much to help us transition to a healthier diet during Bowdu’s summer of immune system meltdowns. Bowdu learned to literally sing for his dinner once we started feeding Primal raw, as demonstrated by this post and video back from 2010. He still serenades me every single night during dinner prep, and it’s all thanks to Primal that he found his voice. 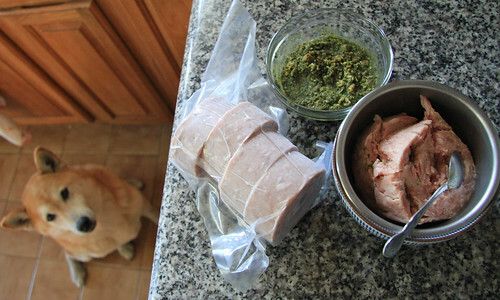 However, it’s been a while since we’ve stocked any Primal meals, mainly because our limited freezer space has been occupied by meats, now that we’ve got the swing of a more DIY raw feeding system. So when Primal offered us a chance to test out a couple items in their freeze-dried product line, we gladly accepted the offer. 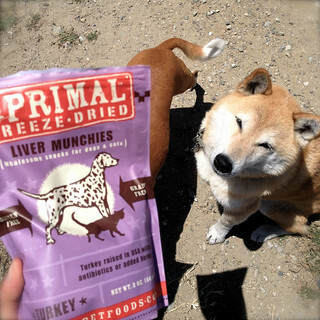 Primal’s freeze-dried raw offers several advantages over their frozen product. It’s lightweight, easier to store, and easier to prepare, though the process is entirely different. 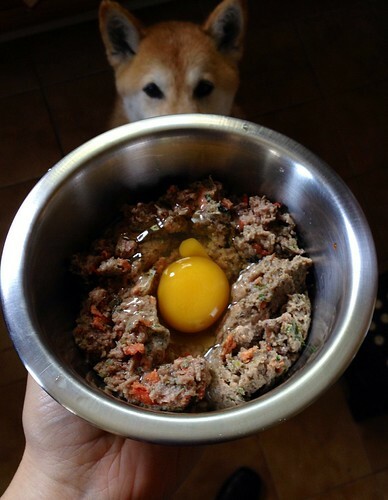 When we fed their frozen raw, I would portion out the appropriate number of nuggets the night before, thaw for about 24 hours in the refrigerator, then quickly temper the meat in hot water before serving — the last step being the extra push that really encouraged both Bows to take to a raw diet, as the warmer meat was more appealing to them. 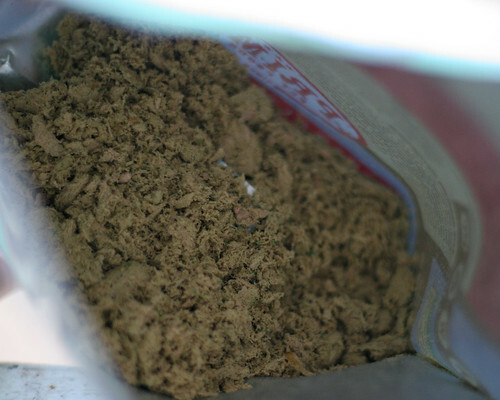 The freeze-dried products appear to use the same recipes, but the format is different. You drop the desired number of nuggets into a bowl, and add water. I use water pumped out of my trusty Zojirushi heater (not straight off a boil, but hot), and let it cool to still-warm temps as the product soaks and rehydrates. The instructions recommend about 1/4 cup of water for four nuggets, which is what you see above. I was impressed that rehydration happened within seconds. 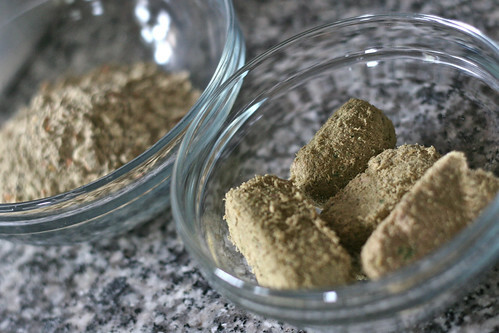 Once soaked, the nuggets were easily broken down with a spoon to help force water into the pores. 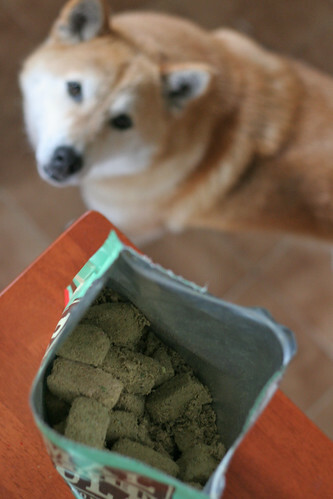 This is quite different from other freeze-dried meals we’ve tried, which took much longer to reach an edible consistency. 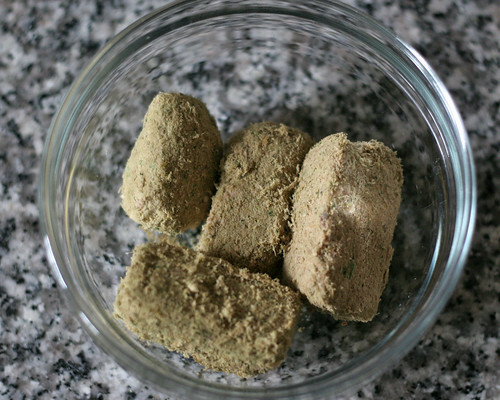 Primal’s freeze-dried nuggets are ready within minutes. 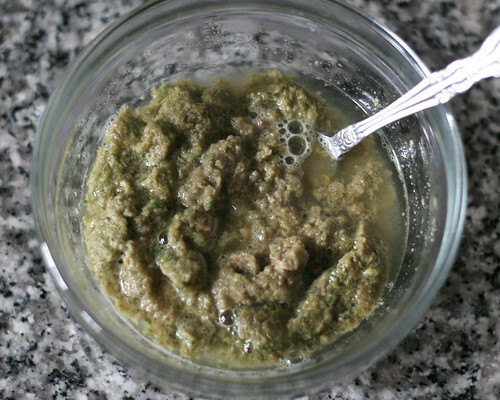 Ideally, you want the end result to appear gloopy and mushy, as extra moisture is part of what rounds out the nutritional superiority of raw meals. Bowpi (20 pounds) should get eight nuggets a day, and Bowdu (30 pounds) should get about twelve. They are both accustomed to quite a raw variety now, but I still eased them into the product by combining it with The Honest Kitchen’s Keen, which they’ve had regularly for the last couple months. This gave me a chance to compare the two products side by side. 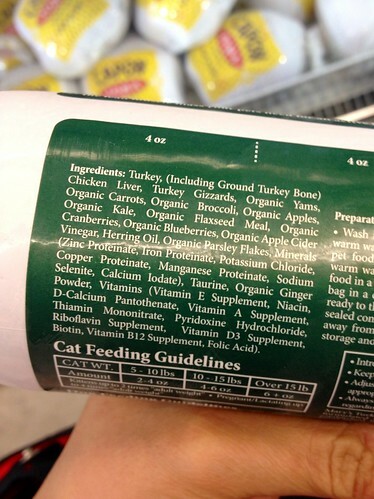 They are comparable dehydrated pet foods from two companies with nutritional philosophies that I respect. The difference is that THK uses slow, air-drying processes, where ingredients are brought up to high enough temperatures so that they can’t bill their product as completely raw. Primal, on the other hand, can call itself a raw diet, as freeze-drying, or lyophilization, is a different (and more expensive) process. They also use High-Pressure Processing (HPP), a “unique, non-thermal process that kills pathogenic bacteria through high-pressure, water-based technology,” to ensure the food safety of their raw poultry products. The Honest Kitchen formula that I happened to use for this comparison took slightly longer to rehydrate and came out bulkier. 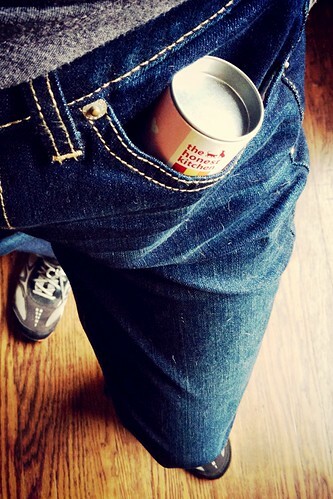 Some THK formulas do contain grains though, whereas Primal’s are all grain-free. Another major difference with Primal is the smell. Primal definitely registered in my nostrils as a RAW product, though not in an unpleasant way. It’s the scent of fresh meat and produce, which I’m sure added to the olfactory experience for the Bows. Suffice to say, it was a big hit! I couldn’t really get pictures of the meals because they were consumed way too quickly. What I could get the Bows to pose for were the Turkey Liver Munchies. This was just what I needed to help Bowpi weather some of our off-leash outings in the midst of fireworks season. I mentioned in a recent post that she gets extremely skittish when strange sounds are in the air. Though delicious liver treats were not a cure-all, they were an effective “adhesive,” keeping Bowpi closer than she otherwise would have stayed. It’s hard enough for me to find raw turkey liver, so at least I can get it in this form. I love that these treats are made with a single protein, named organ. 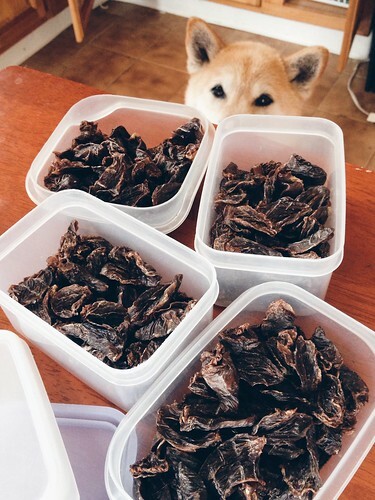 Even though we’re paying by the ounce, retail cost is reasonable, relative to other freeze-dried treats currently available. I just have to ration the goodies. Each bag contains many pieces in a variety of sizes. 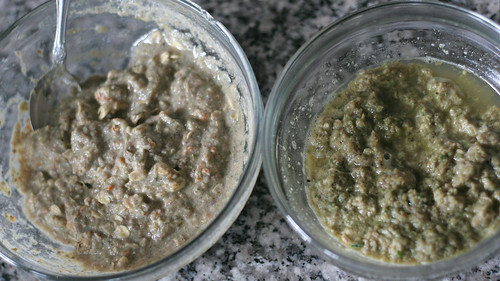 It’s best to break up the bigger chunks, as too much liver in either raw or dessicated form can be overkill. … this. Smithereens city. Given that each bag is supposed to contain about 64 nuggets, the crumbled portions account for over a third of the bag. Yikes! This wouldn’t be so bad if rehydration and feeding guidelines were based on approximate dry volume, instead of nugget count. The crumbs still absorb water the same way, after all. 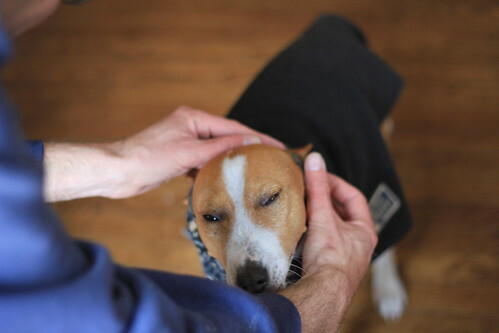 Once you get used to the routine, it’s not too hard to eyeball the amount and adjust the moisture levels to the needs of your own pet. 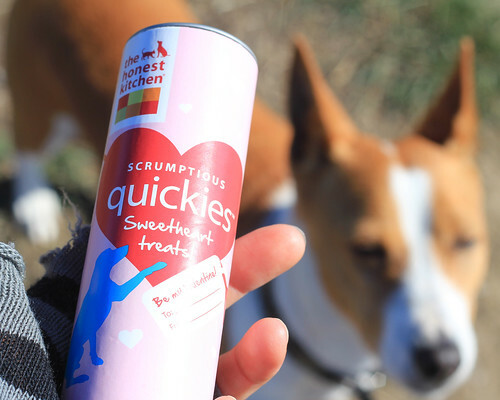 Meanwhile, the liver treat crumbs can be sprinkled onto any meal as a topper. Nothing need go to waste. Nevertheless, I do wonder if there’s a better way to package the product. My other main issue is, unfortunately, cost. This is not an item that I can afford to feed exclusively, as both Bows would go through a single bag in about three days! I sometimes don’t even spend $9 a day feeding myself, let alone my dogs. To me, this is suitable as an occasional treat or perhaps emergency rations. 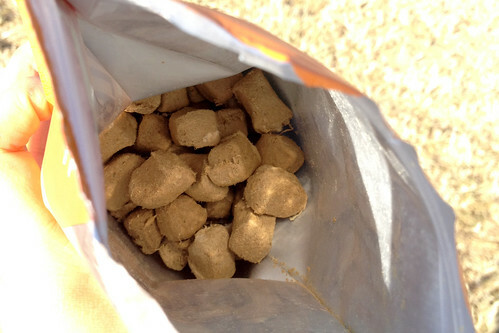 I would much rather pack freeze-dried nuggets than heavy tubs of kibble on a camping or cross-country trip, for example. 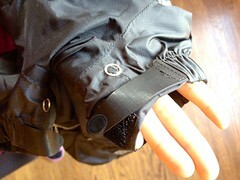 Resealable zippers add to the convenience of these products, but it all comes at a premium. Overall, I have no complaints about the quality of ingredients, the processing method, or the reputation and overall standards of the company. Primal offers a lot of additional information about their products on their website, including where they source their ingredients and detailed nutritional data beyond what is required on the packaging, down to the percentage of organic ingredients, organ meat, bone content, and even calcium-to-phosphorus ratio (for example, see the complete listing for the chicken formula). Reviewing these Primal products was like coming “home” in a way. They are familiar to us from our early days of food experimentation, and they’re also local. The company is headquartered just across the Bay in San Francisco, and they maintain strong links with local businesses and animal partners. However, Californians are not unique in how we treat or want to treat our pets. Primal products are distributed from coast to coast in the US and Canada, for now. 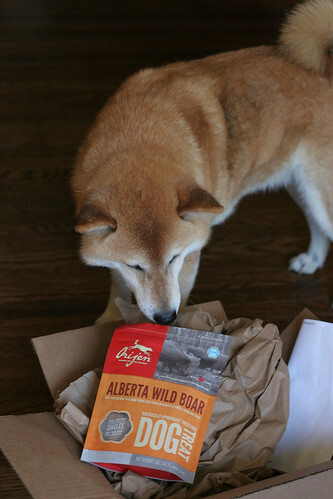 They are one of several modern pet food companies that has helped raise the bar for how we live with our pets, and so they remain one to keep an eye on.